Roy Radner is Leonard N. Stern Professor of Business at New York University. He teaches courses in microeconomic theory, environmental economics, and interdisciplinary topics. Professor Radner's primary areas of research include strategic analysis of climate change, bounded rationality, game-theoretic models of corruption, and pricing of information goods. Other research interests include the statistical theory of data mining, and theories of information processing, decentralization, and incentives in organizations. 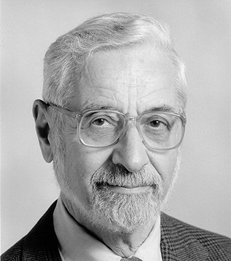 Dr. Radner is the author of Notes on the Theory of Economic Planning, Optimal Replacement Policy (with D. W. Jorgenson and J. J. McCall), Economic Theory of Teams (with J. Marschak), Demand and Supply in Higher Education (with L. S. Miller), and Mathematicians in Academia (with C. V. Kuh), and is a co-editor of five other books. He has also published numerous articles in Econometrica, Review of Economic Studies, Journal of Economic Literature, Journal of Economic Theory, Review of Economic Design, Annals of Mathematics Statistics, Proceedings of the National Academy of Sciences, and other journals, as well as in various volumes. Dr. Radner is a member of the U.S. National Academy of Sciences and the American Academy of Arts and Sciences. He is also a Distinguished Fellow of the American Economics Association and the American Association for the Advancement of Science, is a Fellow and Past-President of the Econometric Society, and has been a Guggenheim Foundation Fellow and an Overseas Fellow of Churchill College, Cambridge. He is on the editorial boards of several journals, and regularly serves on committees of the National Research Council. Dr. Radner came to NYU Stern in 1995. Prior to that, he was a faculty member at the University of California, Berkeley, and a Distinguished Member of Technical Staff at AT&T Bell Laboratories. Dr. Radner received his Ph.B. (liberal arts), M.S. (mathematics), and Ph.D. (mathematical statistics) degrees, all from the University of Chicago.